“Man of Steel” is a controversial film, and after seeing it I get why. This is a film that isn’t a favorite, but I didn’t hate it either. I found the main leads boring but I found the world they inhabited fascinating, and I did enjoy the villain a lot. I found the writing clunky but the cinematography and score helped counter that in some ways…this is film that I’m torn over a little bit and at the end of the day, I did enjoy…even if I’m not likely to see it again anytime soon. 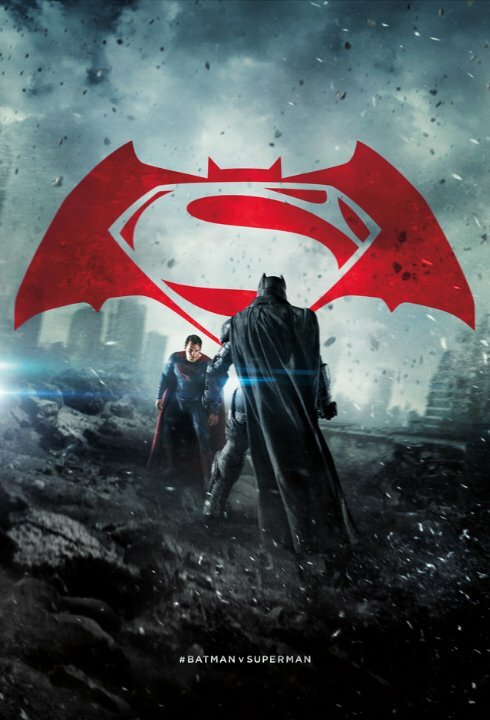 What lead me to checking out this film is I plan on reviewing “Batman V. Superman: Dawn of Justice” soon and since that is a direct sequel to this film, I figured I should do my research and finally watch it. The film was directed by Zack Snyder and written by David Goyer and Christopher Nolan with the producers being Charles Roven and Deborah Snyer, Christopher Nolan and Emma Thomas. The story involves the origin of Superman (Henry Cavill) in regards to his childhood and the fall of Krypton leading to General Zod (Michael Shannon) returning to Earth in order to shape the planet into a new Krypton. The Pros: The Cinematography – Amir Mokri does a fantastic job on the cinematography and shows us a dark world full of life and color. We see it in the adventures in the wilderness with Superman and at the beginning especially when alien Krypton and it’s destruction is shown to us. 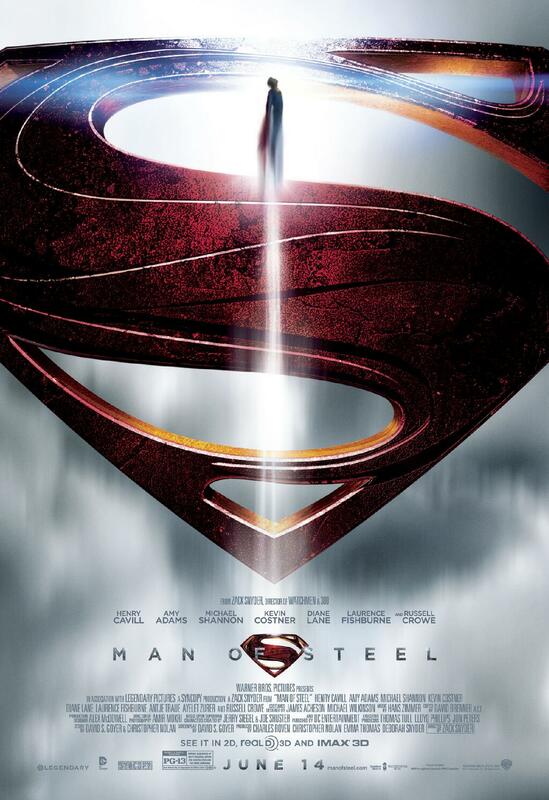 The Soundtrack – Hans Zimmer creates a masterful soaring score that really captures the promise of Superman and also the danger of the villains he faces. These are aliens who are as powerful as the best of humanity’s tech and the score captures the alienness of Krypton and those who come from it, even Superman. The Universe – I like this Universe. I found Krypton very cool, from the High Council, the Military, the fact that people are raised to be in certain roles (creating a caste system) and how Jor-El’s heresy leads to Superman’s creation and also the destruction of Krypton’s people, culture and world as a whole. I also like how humanity fears Superman…it feels believable and from that Superman’s vulnerability and inability to really save people as he doesn’t understand his power fully. Krypton – This is my third timing mention Krypton, but it is worth doing so. I loved Krpyton’s design and the technology on the planet as well as the mixture of biology and tech. This was a world that I wanted to spend more time in and would have watched and loved the movie if it just took place here and wasn’t about Superman at all until the very end. Jor-El – Russell Crowe was great as Superman’s dad. He was easily the best actor in this and the writing for him felt the most natural. His personal relationship and rivalry with Zod was fantastic too and I like how they had a grudging respect for one another, even up until the end. They were equals and in the end both were destroyed because of it. General Zod – Michael Shannon is awesome! I really want to see this guy in more films after this. This is a guy who could ham it up and have an aura of fear and crazy about it. He reminded me of Jeffrey Dean Morgan who played The Comedian in “Watchmen.” I wanted to know this character more and he truly felt like a threat the entire time. I got why Superman couldn’t save people and had to kill him, as long as this guy lived Earth would be under threat of total annihilation and he’d do it and could do it, even without his technology. Okay: Superman – Cavill is okay but he isn’t given the chance to show all that much depth. He’s sad and angry and we see him smile…once. I get being thoughtful but Cavill isn’t that great of an actor, thoughtful just ends up looking angry. He was one of the weakest but I at least got his motivation and his desire to look after those around him. The Cons: Lois Lane – Lois Lane is a plot device in this. She is a living McGuffin that moves around plot points to advance the story. Poor Amy Adams…the one time she has a chance to do something (relationship with Superman) there isn’t any chemistry. She really wasn’t needed in this story and her role could be filled by anybody. Perry White – Fishburne is a good actor but in here he is just a stock character type. The Daily Planet doesn’t really do anything and he like Lois Lane is there mostly to be saved by Superman…. Blatant Product Placement – Superman fights in the IHOP, used to work at the IHOP and over the course of the film there. This was super annoying and thankfully the action distracted from this because every time something came I couldn’t help but be annoyed…I get films need endorsements and money to be made, but this doesn’t have to “Transformers” level obvious. This is a deeply flawed but enjoyable movie. It makes me want to go back and check out other versions of the character from Bruce Timm’s version of the character, the original Superman of the films and even the very hated “Superman Returns.” I’ll admit he isn’t the guy I’m drawn to DC comics for. It is hard to tell a compelling Superman story as so much of what creates drama is the facing of adversity and if you are someone with only one weakness, it’s hard to create tension. In that way Superman is only as interesting as the world around him and I found the world around him in this fascinating, even if the character paled in comparison to the villain.